Make you way to Amish Country in Northern Indiana to taste the simple pleasure of our cheeses and watch the cheese making process right on site at the creamery. 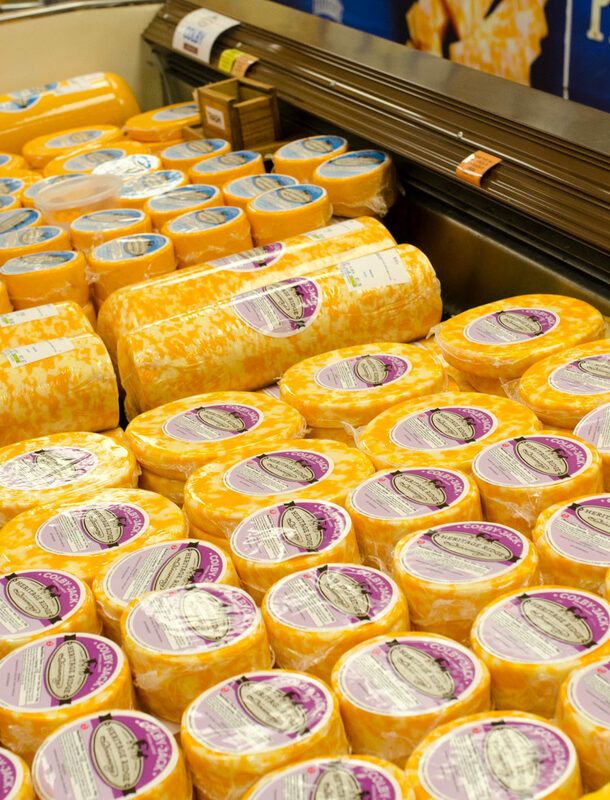 At our store in Middlebury, you can browse our selection of Heritage Ridge Creamery products, sample our delicious cheeses, and delight in many other Amish and local specialty foods. Notice: viewing through the cheese-making window will be closed from March 9-18 while we upgrade our equipment. The store will be open for regular hours during this time. From scenic drives to quilt gardens to historic sites to flea markets, there are countless things to do when visiting our community. We’re conveniently located in the middle of it all, on the Heritage Trail between the downtown area of Middlebury and Shipshewana, Indiana.